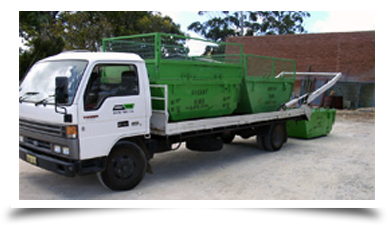 Greedy Bins are professional and experienced Mini Skip Bin Hire company servicing the northern suburbs including Joondalup, Craigie, Wannaroo and Perth Metro areas. Our customers come to us for reliability, competitive pricing and to help them choose the right skip bin size for their needs. A convenient and handy way to dispose of large amounts of waste, skip bins are the perfect solution for renovation clean ups, spring cleans, garden makeovers and more. However choosing the right skip bin size can be confusing. 2.5, 3.5 and 4.5 cubic meters, so no matter what you need to put in the skip bin, we’ve got the right skip bin size for the job. 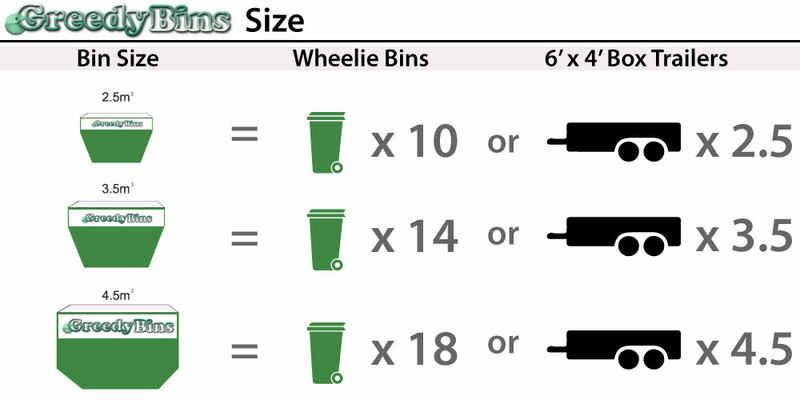 As a general guide and to help you visualise, a normal household green bin is 240 litres. This works out to be just over 4 green bins for every cubic metre. We recommend you go one size up because one always tends to have more waste than originally anticipated and hiring a skip bin one size up is more cost effective than having to hire a second one because you overfilled the first. 2.5m3 —This size of skip is best for the annual spring clean and decluttering as well as single room renovations. 4.5m3 — If you’re looking at multiple room makeovers or garden landscaping, then our largest mini skip hire will be sufficient. Dispose of your cabinets, tiles and floor coverings, plant pots and more with our largest skip. Of course we’re always here to help you and offer personalised advice. The best thing to do is to make a list of all the things you will be throwing away so you have a more accurate idea of the volume of rubbish you’ll need to dispose of. Together with that list, the above guide and our handy expertise, you can make sure you will have no trouble at all getting rid of all your unwanted clutter.